Packaging Design Corporation has almost half of a century of experience creating and designing innovative point of purchase displays, branded retail and specialty packaging, and custom branded industrial packaging. We specialize in designs that will draw attention to your displays and help increase brand recognition. No matter how great your product is, if customers are not noticing it, it’s not going to sell. So, how to you convey how great your product is? If you want your products to stand out in a retail environment, exhibition is a must. Your display won’t be designed simply to draw attention to your product, but to convey your marketing and brand message. To learn more about our innovative point of purchase displays or if you have any questions pertaining to our other products and services, please give us a call today at 630-323-1354. You can also get in contact with us by filling out the contact form located on this page and one of our friendly associates will get back to you as soon as possible. 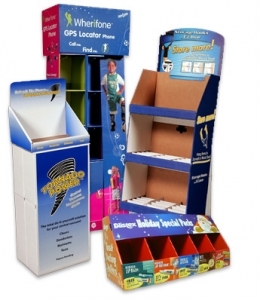 To find out more about our point of purchase displays and how they can help draw attention to your products, call us today at 630-323-1354. Or simply fill out the contact form on this page and we will respond shortly.